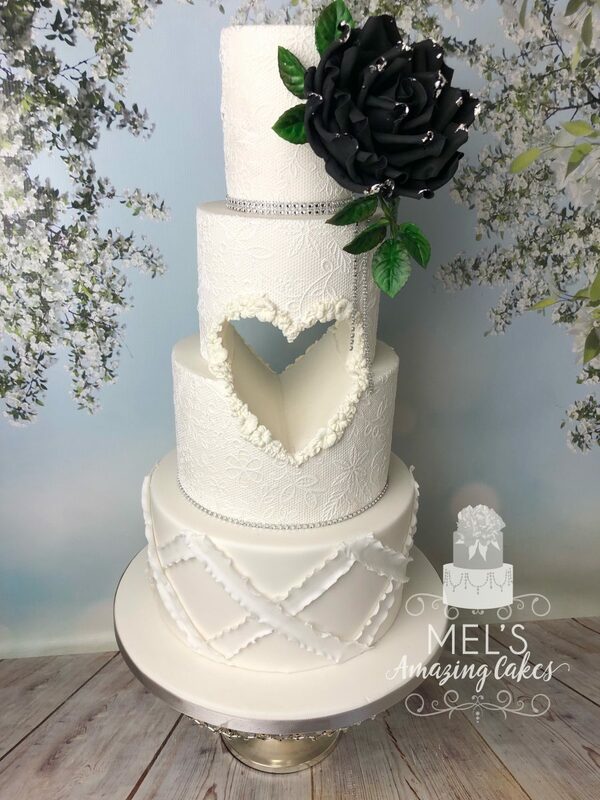 A stunning 4 tier cake with a heart cutout within the middle two tiers. 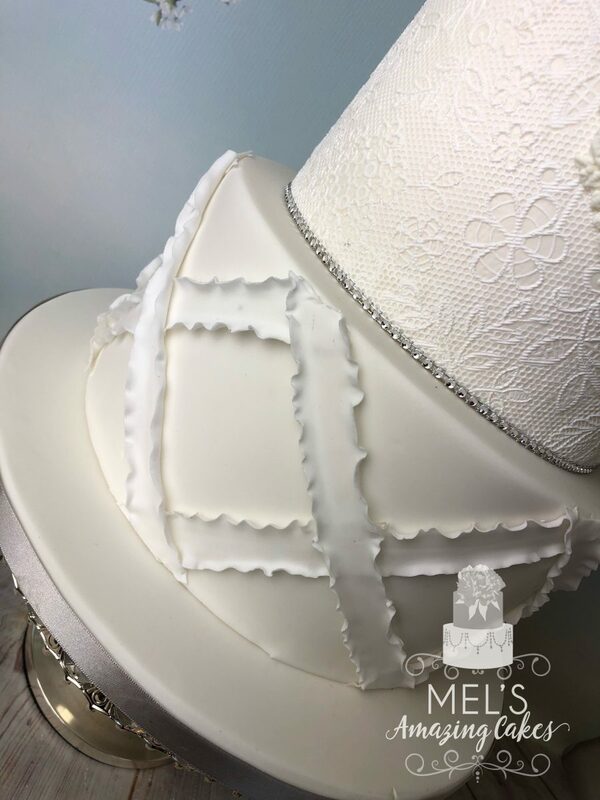 The bottom tier features a geometric ruffle pattern whilst the remaining tiers feature edible lace and diamante. 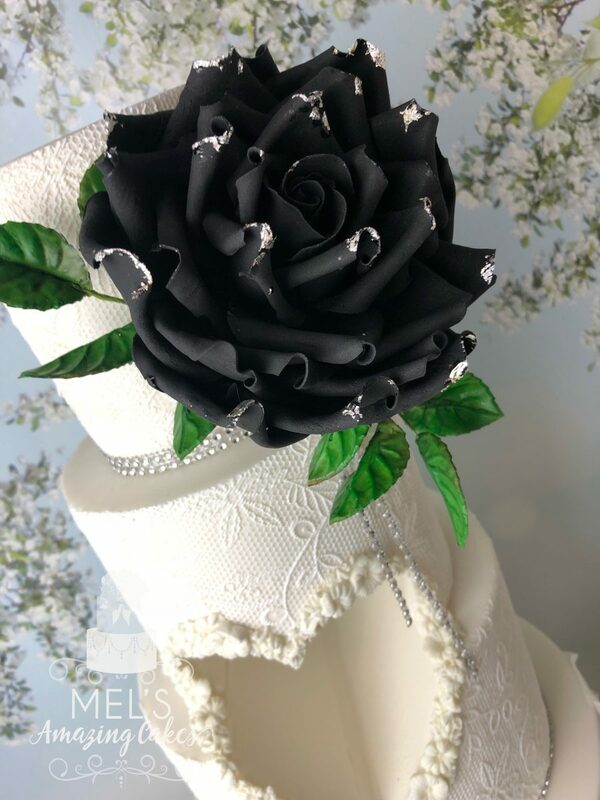 This 4″ 6″ 8″ and 10″ four tier wedding cake serves approx 80 finger portions.